Growing up as an Nth generation American, none of my ancestral heritage was passed down to me. My dad’s family sort of knew they came from Wales and had some Cherokee blood in there somewhere. My mom’s family thought the might be Scottish. Getting past the Blevins and Blackwood names, I know even less of the families they married into. One thing I am sure of genealogically is that I am a Celtic mutt. 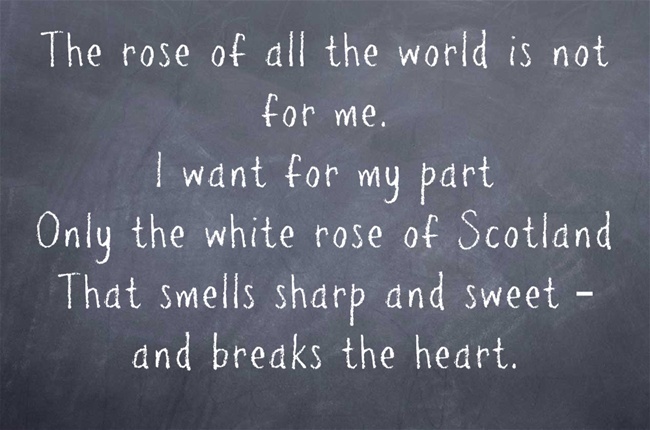 My goal is to prune away generations of cultural neglect to find the beautiful rose of my mixed Celtic heritage. It’s a bit fun to wade through the ambiguity to find fact. Some of it requires a measure of common sense and creativity to decipher. My Dad’s mom’s mom was Lottie Ervin Stinson, which originally was Stevenson many generations ago in Scotland. So “Stevenson” pronounced with a thick Scottish brogue was “Stee’enson”, which over time and as recorded by various census takers became “Stinson”. Coincidentally, My Dad’s dad’s mom’s mom, Laura Ada Stinson, came from the same line of Stinsons. 30 November is St Andrew’s Day, but who was St Andrew? The apostle and patron saint of Scotland, Andrew was a fisherman from Capernaum in Galilee. He is rather a mysterious figure, and you can read more about him in the Oxford Dictionary of National Biography. 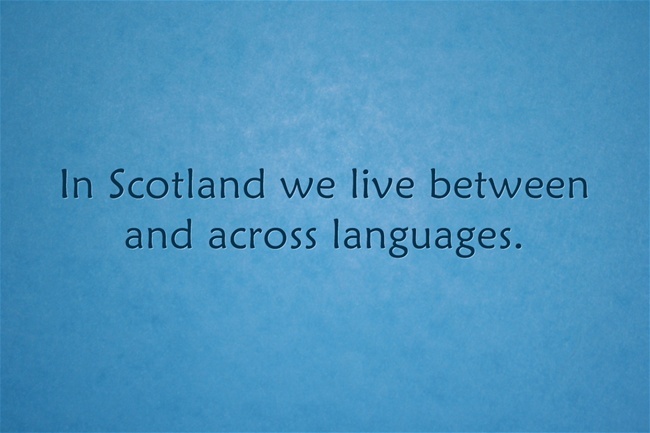 St Andrew’s Day is well-established and widely celebrated by Scots around the world. 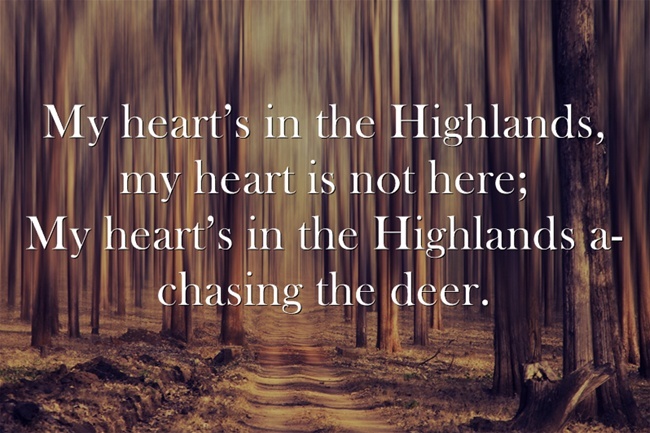 To mark the occasion, we have selected quotations from some of Scotland’s most treasured wordsmiths, using the bestselling Oxford Dictionary of Quotations and the Little Oxford Dictionary of Quotations. and sent him homeward tae think again. She’s as pure as the lily in the dell. Embattled by the Clyde, tight and impure. The Little Oxford Dictionary of Quotations fifth edition was published in October this year and is edited by Susan Ratcliffe. The Oxford Dictionary of Quotations seventh edition was published in 2009 to celebrate its 70th year. The ODQ is edited by Elizabeth Knowles. The Oxford DNB online has made the above-linked lives free to access for a limited time. The ODNB is freely available via public libraries across the UK. Libraries offer ‘remote access’ allowing members to log-on to the complete dictionary, for free, from home (or any other computer) twenty-four hours a day. In addition to 58,000 life stories, the ODNB offers a free, twice monthly biography podcast with over 130 life stories now available. You can also sign up for Life of the Day, a topical biography delivered to your inbox, or follow @ODNB on Twitter for people in the news. Subscribe to only language, lexicography, word, etymology, and dictionary articles on the OUPblog via email or RSS.